Chelsea manager Maurizio Sarri claims that he is pleased to have seen Alvaro Morata cry after scoring a goal against MOL Vidi in the Europa League. Alvaro Morata was able to end his two-month goal drought by scoring the winner in the game. However, this goal certainly did not come easy with the striker guilty of missing several opportunities that came his way before ultimately finding the back of the net in the second half. 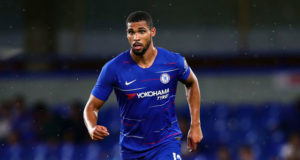 Chelsea have made a strong start to the Europa League campaign after winning both matches by keeping a clean sheet and they can be backed to win the title while using Genting bet promo code. The lack of goals has even relegated Morata to the position of being a second choice forward at the club. Olivier Giroud was preferred to the Spaniard for the Premier League matches and there was even talk about Morata considering a return back to Spain or Italy even as early as in January. Morata was even linked with a move back to Juventus in the summer but it did not materialise. “I’m really very happy for him. It’s very important for him to score. I think it’s very important for him to play a very good match. He played a very good match. Alvaro Morata was seen as the perfect striker to complement Chelsea, as he had physical presence, speed, and skills on the ball to complement the existing talented players in the squad. However, he has struggled with the physicality of the Premier League to a certain extent. It is not a surprise that Morata is being preferred in European competitions as there is less physicality while Giroud is a player who excels in such conditions. 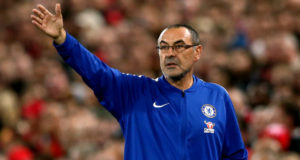 Sarri has been able to rotate his two strikers, but it remains to be seen if the Italian will be able to cope with a serious injury to either one of them. Chelsea have been excellent even in the league. 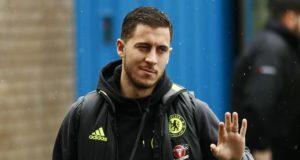 Even though the team dropped points against West Ham and Liverpool, they have brought a delightful style of football to Stamford Bridge and it has not previously been experienced before.